If you are considering a joint custody agreement, the Law Offices of Baden V. Mansfield can give you the legal guidance that you need. Joint custody arrangements give both parents custody over the child and allow them to share decision-making rights. However, this does not mean that everything is equal in a joint custody arrangement. To protect your rights and those of your child, you need the help of an experienced family lawyer on your side. 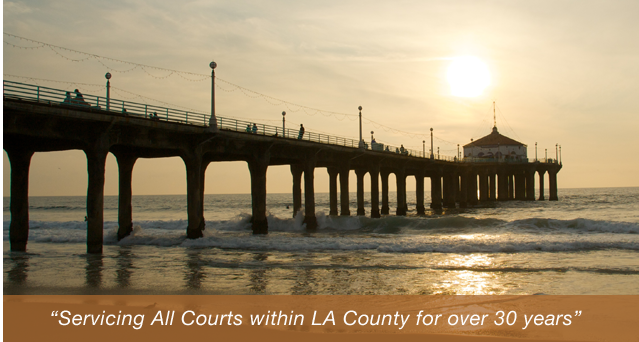 At the Law Offices of Baden V. Mansfield, our Manhattan Beach joint custody lawyers have the knowledge and experience to fight for you. We can get you the results that you want, so don’t hesitate. Call us today at (310) 546-5858 to set up a consultation. By nature, divorces are a challenging and emotional process for everyone involved. Even a couple who desires an amicable separation may have trouble agreeing, especially when child custody comes into play. Even with joint custody, one parent will be deemed the primary caretaker, and the other will only have visitation rights. This can mean that, though both parents have a say when it comes to major life decision for the child, one will likely see the child much more than the other. With emotions so high and so much at stake, you can’t afford to make a single mistake. An experienced family lawyer can help you through your custody proceedings to ensure that your child’s best interests are protected and that you are awarded as much time with your child as possible. This is especially important if your divorce has turned contentious. Why Should I Choose the Law Offices of Baden V. Mansfield? For over 30 years, the Law Offices of Baden V. Mansfield has dedicated itself to our clients. We have represented thousands of people in family law issues such as child custody and parental rights and have helped many people get the results they want. We have the knowledge and experience to fight for you and your children. We will treat you with the compassion you need during this difficult time, while simultaneously aggressively defending your rights. Though most child custody cases can be negotiated, we are fully prepared to take your case to court if necessary. Joint custody is when the court awards both parents rights regarding the care of their children. This means that the parents need to negotiate with each other when making decisions about the children. One parent will be labeled as the primary caregiver, while the other will have visitation rights. Joint custody is often preferred by the courts because it allows the children to have a relationship with both parents. Custody refers to both legal custody, which is the right to make decisions regarding the child’s life, and physical custody, which is deciding where the child will live and who will care for them. Either of these can be joint or sole. What Issues Does Joint Custody Involve? Having joint custody makes each parent a joint managing conservator. This means that each parent has a right to decide legal issues and a right to have physical access to the child. However, it does not mean that there will be equal access to the child. When making decisions about their child, both joint managing conservators need to act in the best interest of the child. This does not mean that the joint managing conservators must make decisions that the child likes, but it does mean they need to be trying to do what they think will be good for the child. If one or both joint managing conservators are found to be making decisions without regard for their child’s best interests, their parental rights can be limited or even terminated completely. Parental rights carry with them parental responsibilities. When in physical possession of the child, the parent needs to make sure the child’s physical needs are met. The conservator in immediate physical possession of the child needs to provide food, clothing, shelter, and whatever else might be necessary. The parents also need to make sure they are complying with legal decisions that they have agreed to regarding their child, such as agreements on which religion, if any, they will be raised with. It should be noted that some things do not need to be agreed to by both parents, even in a joint custody situation. For example, basic doctor’s checkups that do not involve an invasive procedure can be performed without notifying the other parent. Make sure to talk with the Law Offices of Baden V. Mansfield to make sure you know what you can and cannot do according to your custody arrangement. For over 30 years, the Manhattan Beach child custody lawyers at the Law Offices of Baden V. Mansfield have represented people just like you, and we have helped them get the results they want. We can help you as well, but only if you let us. Call our Manhattan Beach office today at (310) 546-5858 so we can start giving you the legal representation that you deserve.